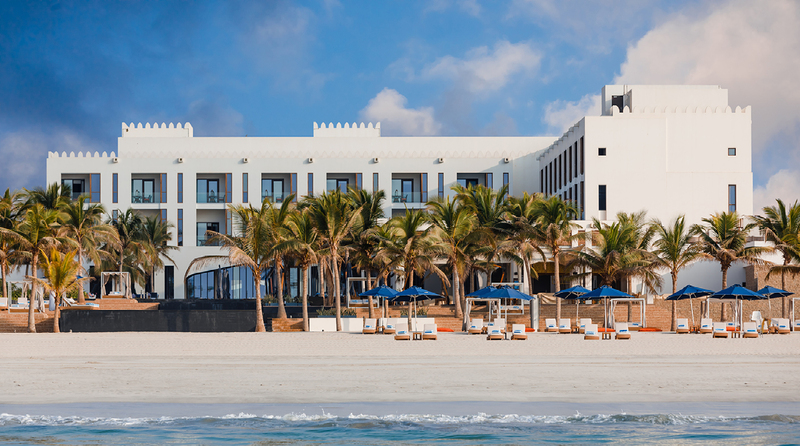 Nestled between a private beach and freshwater lagoon, Al Baleed Resort Salalah by Anantara celebrates cultural treasures, while being the first and only luxury pool villa resort among Salalah hotels. Majestic design reflects Oman’s coastal fortresses. Garden walkways are lush with palms and water features. Relax at the infinity pool or on white sands. Explore archaeological ruins – or soak up Salalah’s precious frankincense in exclusive spa rituals.